Grant County is named for Ulysses Simpson Grant ( 1822-1885 ), president of the United States from 1869 to 1877. 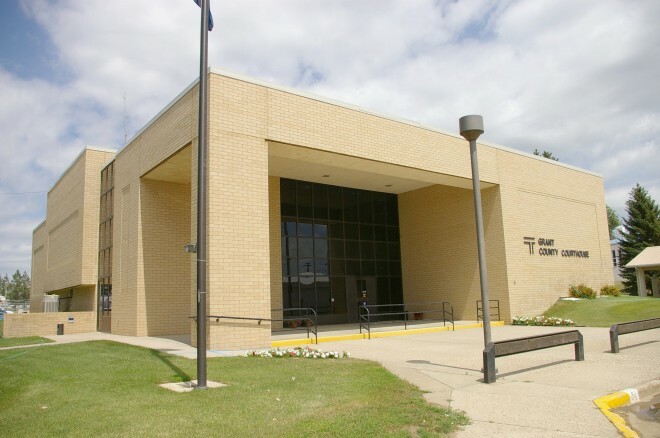 Description: The building faces south and is a two story buff colored brick, concrete and glass structure. The building is located on landscaped grounds in the center of the town The south front has a large dark glass window in the recessed portico along the west side. The building has few windows and the roof line is flat. 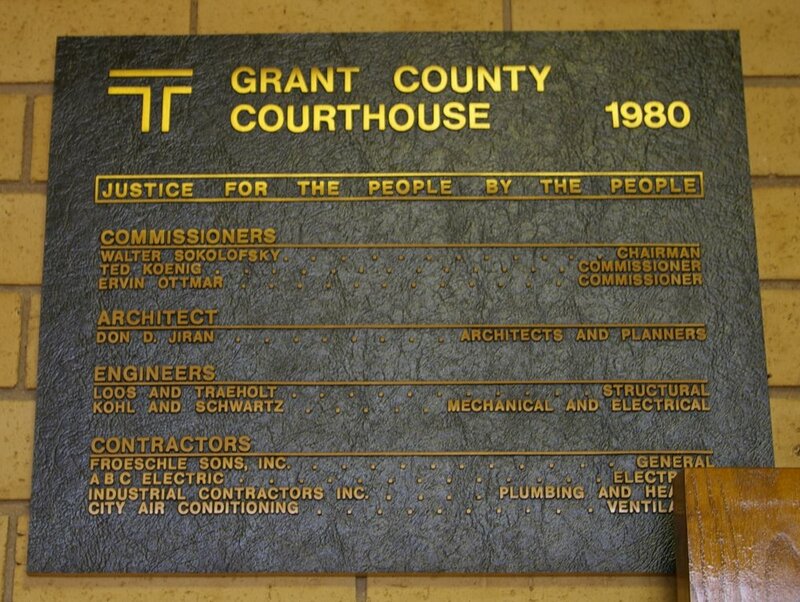 Note: The previous courthouse was built by J H Bellman in 1916. 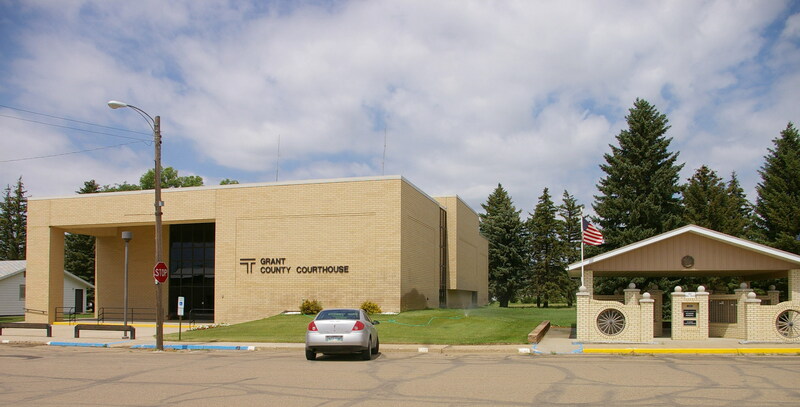 See: The architect, Don D Jiran, also designed the courthouse in Sioux County.